Months ago, I made my first visit to the new Faena Hotel, to try out Chef Paul Qui's restaurant, Pao (some first thoughts on Pao here). 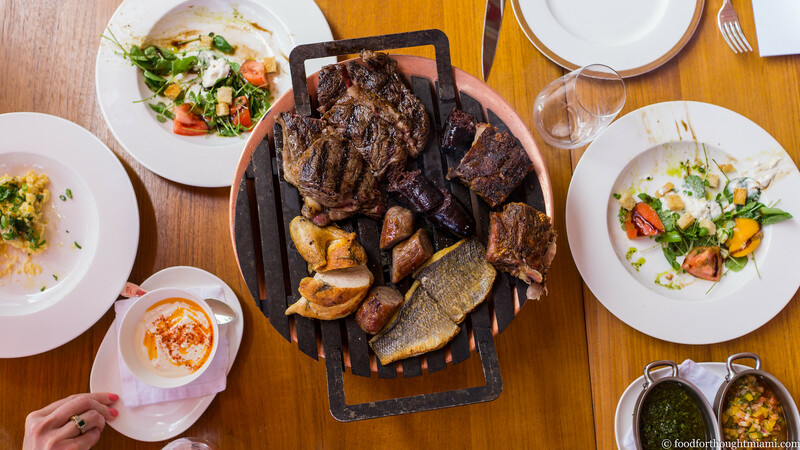 I was equally intrigued by its sibling at the Faena, Francis Mallmann's Los Fuegos, but hadn't made my way back. Mallmann, if you're unfamiliar, is a larger-than-life character who runs several restaurants in Argentina, and literally wrote the book which has inspired a new wave of interest in open-fire cooking. (For a good introduction, this episode of Chef's Table featuring him is highly recommended). I pass up 99% of the freebie meal offers I get via FFT, but an invite to a Sunday asado at Los Fuegos was too good to pass up. So full disclosure and all, but hopefully I've built up enough credibility that you'll believe me when I tell you this was great stuff. Our afternoon junket took us through most of the Sunday menu, which is typically a $75 affair with several choices among three-plus courses. On special occasions (Father's Day is coming up ...) it will likely be more expansive, more expensive, and more family style, like what we were served. There were lots of highlights – the wood oven baked empanadas, the grilled sweetbreads given a black-edged hard sear and a squeeze of burnt lemon, the bubbling provoleta with crusty bread – but the centerpiece was the parrillada, and the real standouts for me, the crisp-edged, tender-fleshed lechoncito, and the oozy, rich morcilla sausage. I'll be back on my own dime soon. 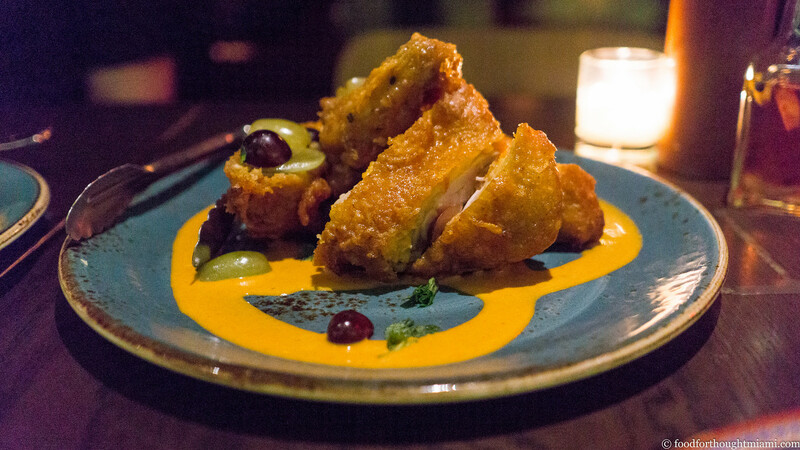 Runner-up: the ultra-crispy Korean fried chicken, served in a puddle of kimchi-spiced yogurt, at Talde Miami Beach.